For jewellery designer Carlo Traglio designing his own yacht came naturally - but he did learn lessons from other people’s vessels. “It’s really horrible,” he told Boat International’s Stewart Campbell of a neighbouring vessel spied from the deck of his modern classic Ardis II before labelling a very famous sailing boat ‘a disaster’. After a series of accidents led sailing yacht owner Barry Houghton to retreat from the regatta circuit his love of a challenge instead led him to an epic trip aboard his sailing yacht Salperton. 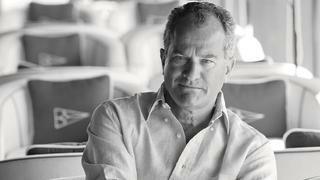 Inventor and entrepreneur Kim Vibe-Petersen is used to thinking outside the box and so, when it came to building his sailing yacht Parsifal III, he wasn’t afraid to break boundaries. 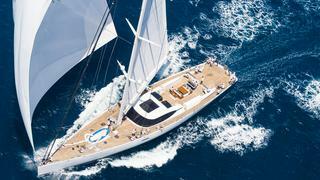 “Parsifal III was a game-changer in the sailing yacht industry,” he says. 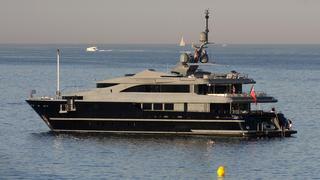 “We were one of the first to use (designer) Rémi Tessier and we did the complete boat with him. That made his business grow. Philanthropist and sailing yacht owner Wendy Schmidt may have been a sailing fan since buying her first W Class sloop in 2007 but that doesn’t mean she was prepared for the task of helming her first superyacht, a Swan 80 named Selene, during the Heineken Regatta in St Maarten in 2009. “Suddenly I had a crew and a big boat and I had to learn all about it.” she explains. “It was a year of extraordinary conditions. I think we had 10-foot seas and up to 35 knots of wind. I hung on and drove the boat into conditions that would really worry me now, but ignorance is bliss, I suppose, and we went on to win.” Now though, Schmidt’s concerns lie closer to saving the oceans than sailing them. With help from designer Andre Hoek and Schmidt’s own 11th Hour Foundation, her latest delivery - the 46 metre ketch Elfje - is a testament to the advancements in modern eco-friendly superyacht design. Now though, Schmidt’s concerns lie closer to saving the oceans than sailing them. With help from designer Andre Hoek and Schmidt’s own 11th Hour Foundation, her latest delivery - the 46 metre ketch Elfje - is a testament to the advancements in modern eco-friendly superyacht design. 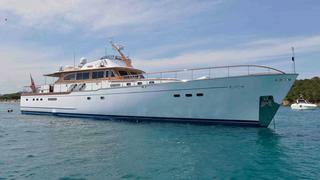 There’s a reason so many superyacht owners are, in fact, serial superyacht owners. Whether an expanding family means you need something bigger or a need for speed has you looking for the latest technical developments, it’s okay to admit that your current yacht might not be fulfilling your needs anymore - as owner of yacht for saleSea Force OneRaffaele Costa knows. “She has exhausted the energy that I wanted from her,” Costa confided to Boat International earlier this year. “And I’m a little more sophisticated than I was [when she was delivered in 2008]. Sophisticated is probably the wrong word, but it gives you an idea. However, both he and Chapman Ducote, owner of Anahita V, agree that when you find the right yacht the results are worth it. 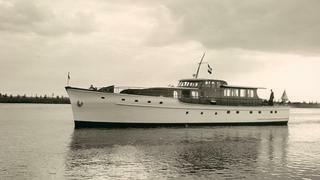 “It was the first Feadship superyacht ever built and the one where they realised their business model,” says Ducote of finding his classic. “So to say my boat is historically significant is an understatement! It’s like owning the first Ferrari ever built or the first Rolls-Royce they ever raced.